Lee National Denim Day participants should be incredibly proud of what we have accomplished together the last ten years. We couldn't be more excited to launch the second decade of Denim Day with our new charitable partner EIF and a commitment to breast cancer fundraising which will support some of the most important early detection and treatment research that exists. Lee National Denim Day is the nation's largest single-day breast cancer fundraiser. On October 6, individuals and organizations are encouraged to wear denim in exchange for a $5 donation which will go to the Women's Cancer Programs of the Entertainment Industry Foundation (EIF). Last year, more than 29,000 companies across the nation participated in the single day fundraiser and more than $8.6 million was raised for the fight against breast cancer. In 10 years, Lee National Denim Day has raised more than $61 million. On behalf of the Entertainment Industry Foundation, several celebrity ambassadors are lending their support this year including Pierce Brosnan, Gabrielle Union and the Emmy-award winning cast of NBC's The Office, Steve Carell, Rainn Wilson, John Krasinski, Jenna Fischer and B.J. Novak. Participation is simple - companies or individuals register by visiting http://www.denimday.com or by calling 1-800-521-5533. Companies, schools, organizations or individuals that register will receive a comprehensive participation kit, which includes an idea book, posters and other materials to make the program easy to implement. In addition, pink ribbon lapel pins and educational materials about breast and reproductive cancers are included for the registrant's fellow participants. 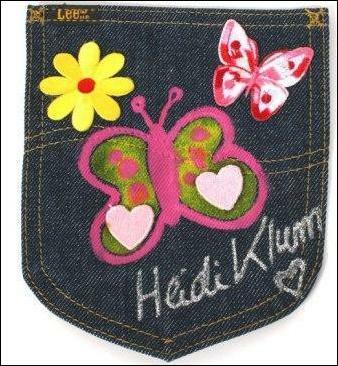 Celebrities including Heidi Klum, Ben Stiller, Kate Bosworth and many more have autographed and decorated denim pockets that will be auctioned off to help raise money and awareness for Lee National Denim Day and breast cancer fundraising. The custom-designed denim pockets will be auctioned on http://www.charityfolks.com. Early Detection -- The establishment of the Lee Jeans Translational Laboratories and Fellowships for Breast Cancer Research at seven leading research institutions across the U.S. including Johns Hopkins University; Harvard Medical School, Dana Farber Cancer Institute; M.D. Anderson Cancer Center; University of California of Los Angeles; University of Chicago; University of Washington and Vanderbilt University. Support of the EIF Breast Biomarker Discovery Project, a multi-year effort by world-class scientists to develop a blood test for early detection of breast cancer. The following research facilities are involved in this important research: Institute for Systems Biology; Broad Institute of MIT & Harvard; Harvard Medical School, Dana Farber Cancer Institute; Fred Hutchinson Cancer Research Center; University of Southern California, Norris Comprehensive Cancer Center and Battelle/Pacific Northwest Laboratory. For information about companies participating in your area contact Rachel McKenney at 816.512.9482. "Lee National Denim Day participants should be incredibly proud of what we have accomplished together the last ten years. We couldn't be more excited to launch the second decade of Denim Day with our new charitable partner EIF and a commitment to breast cancer fundraising which will support some of the most important early detection and treatment research that exists." 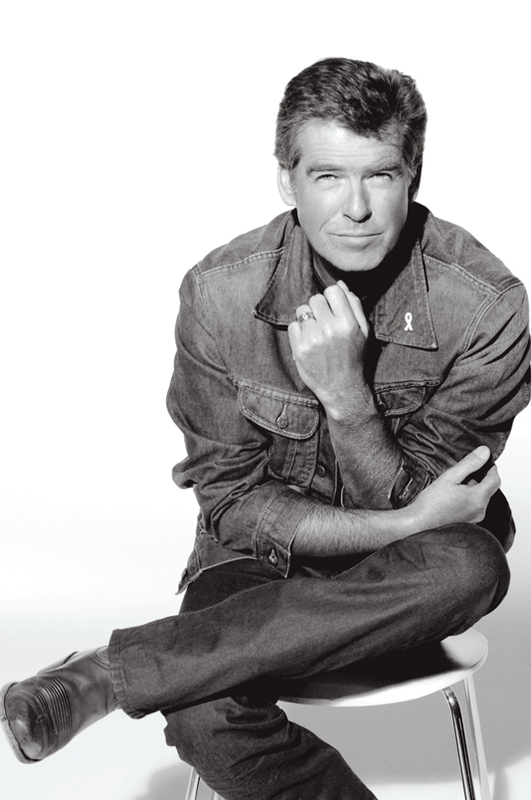 "I'm proud to join Lee Jeans and the Entertainment Industry Foundation in this tremendously important battle to eliminate breast cancer from all our lives. Lee National Denim Day is an easy way for friends and colleagues to unite in support of a groundbreaking scientific project to detect breast cancer in its earliest stage." 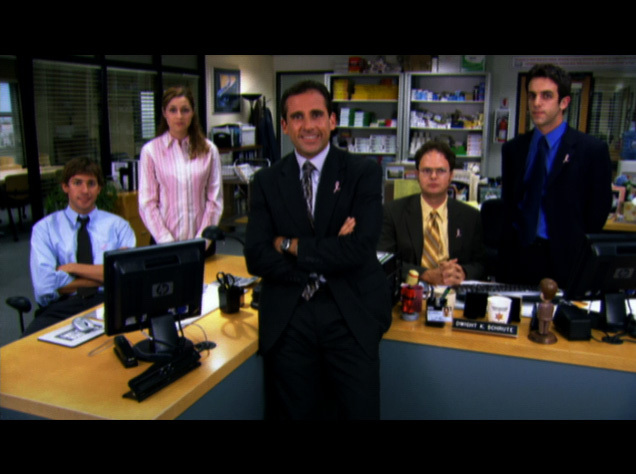 "We want people to understand how easy it is to support this meaningful campaign in the workplace, and the cast of NBC's hit comedy 'The Office' is the perfect group to deliver this message. The Entertainment Industry Foundation is truly blessed to have such widespread volunteer support from individuals working in every part of our industry. That backing, combined with Lee Jean's steadfast commitment to the cause, is helping advance promising breast cancer research." "The idea is to take observations in the laboratory and translate it into clinical practice very quickly. We've had some track record with this in collaboration with EIF in the past and with Lee joining as a partner we think we can make some real steps forward in a very rapid way." •Dr. Slamon, Chief, Division Hematology-Oncology, Director of Clinical Translational Research, Jonsson Comprehensive Cancer Center, David Geffen School of Medicine at UCLA, and Chair of EIF's National Women's Cancer Research Alliance. "After Lee Jeans realized the impact breast cancer had on its employees, the company went straight to its consumers and asked what cause was most important to them. Many worthy causes were discussed, but breast cancer fundraising consistently rose to the top. Lee Jeans is very aware of the devastating impact breast cancer has on the men and women diagnosed, as well as their families and friends, and wanted to find a way to make a difference. Lee Jeans has dedicated themselves to this cause and by raising more than $61 million over the past 10 years has shown their passion for finding effective treatment for breast cancer." •Mike Swenson, president Barkley Evergreen & Partners Public Relations and leading expert on cause branding campaigns. Lee® Jeans is a division of VF Corporation. (NYSE: VFC). Headquartered in Merriam, Kan., Lee manufactures and markets brand denim, casual pants, shirts, fleece and knit apparel. For questions about EIF's women's cancer programs and information about breast cancer, visit eifoundation.org or call 800-426-0010.